I love fall in Minnesota because it’s absolutely gorgeous outside. It is also the time of year where everyone enjoys the last bit of warmth while it is still here. 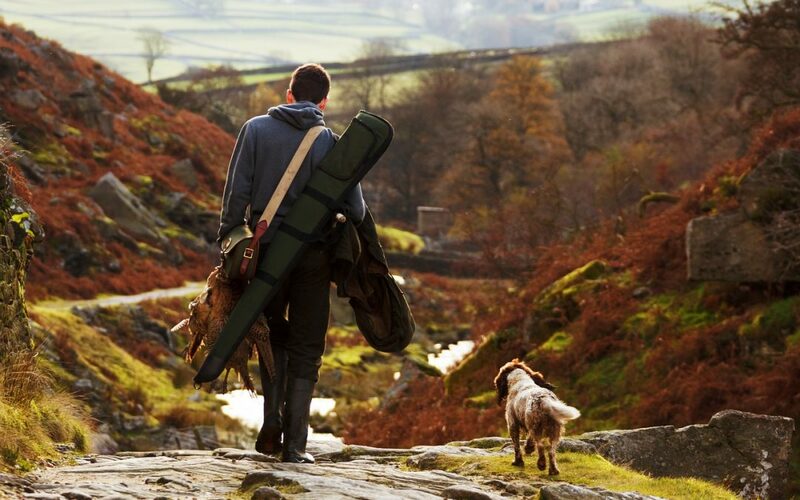 The hunting season, the beautiful leaves, and cool crisp air make it the perfect time of year to get outdoors! My family and I like to go camping and hunting this time of year, and I thought I’d compile a list of my favorite items that have come in handy for me over the years! You might be thinking, what could an outdoorsman do with cleaning supplies? Well, with Norwex they can do a whole lot! Whether you love to go hunting or fishing, or maybe you even just like to go hiking a lot, this list is for you! It’s very easy to get dirty when you spend some time outdoors. The body cloth is a perfect thing to pack in your bag for an on-the-go clean. You can clean both your face and body with this cloth, and all you need is some water! There’s no need for soap, the body cloth will get all the dirt, sweat, and grease off of you. I love this deodorant! Most deodorants contain harmful chemicals and aluminum to stop perspiration. This deodorant stops odor-causing bacteria without stopping natural perspiration or blocking your pores. This is perfect for the days where there’s lots of activity, or if you have to be outside for a prolonged time. It also can be used on your feet to help keep your boots from getting stinky! Five cloths come in this travel pack so it is perfect if you have a family or hunt in groups, each person can have their own cloth! The microfiber cloths are good for removing dirt or grease off of equipment. They can even remove blood if you go hunting. It removes 99% of bacteria without the need for chemicals, all you need is some water! Sportzyme is a must for getting that stinky odor off of your clothes, travel bag, and equipment. It has enzymes that are made to break down organic odors. All you have to do is spray and let the Sportzyme do the work for you! Norwex’s Leather Shine is made to restore and preserve the beauty of all leathers. This is great for gun straps, dog collars, bags, gloves, and even hard plastic or rubber. Whether your leather is cracking or fading, this Leather Shine can help restore it to its original look! This optic scarf will blend right in with its outdoor camo design. It not only looks nice, but it can also help out with a lot! Use it to clean smudges and prints off of your scope, goggles, and glasses. It is completely streak-free! This slim air freshener bag is great to throw into your outdoors bag! It will keep all of your gear and clothes smelling nice. The bag is also great to throw into your shoes after a long day outside! The Norwex laundry detergent is one of our top-selling products and with good reason. It will completely get rid of all the funky smells your clothes and gear will accumulate while outside. It’s environmentally friendly and free from the many chemicals that other detergents contain. This highly concentrated powder will remove all the stains and odors! Are you planning on getting outdoors this fall? Well, if so, I hope this list has come in handy! Contact me if you have any questions, or want to join the Norwex team yourself!